Here's one of the cars that I did some vinyl work on the other day up here in norcal / Bay Area / San Jose. The owner of this white E46 325i sedan brought his car by to have me vinyl wrap his roof with my matte black vinyl material. It's not as often that BMW or Euro guys in general go with the matte black finish, so this is a good example for those who were thinking or considering getting it done on your cars. 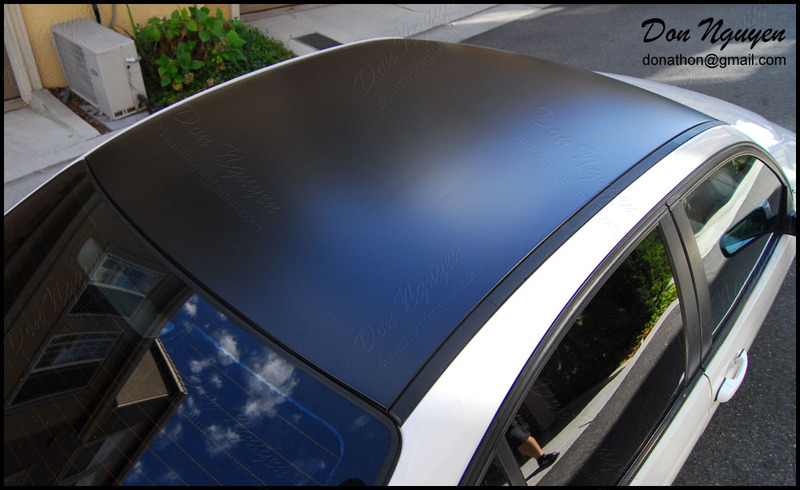 The roof was plastidip before, but the vinyl provides a much smoother end result and finish, and is just as easily reversible.